Reed Elsevier a multinational company with headquarters located in United Kingdom and Netherlands will be having an Open House for their Content, Editorial and Support Positions. 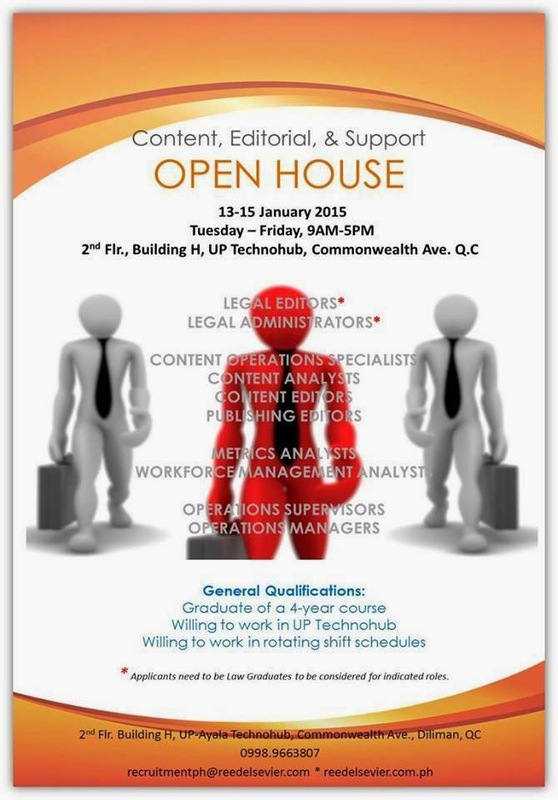 The Open House will start from January 13 to 15 Tuesday to Friday. Check out the Photo below from their Facebook Page to see the latest open positions. Source: Reed Elsevier PH Facebook Page.